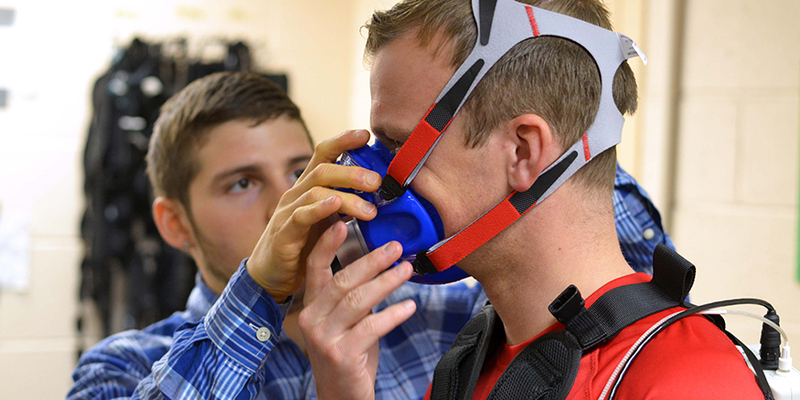 The Master of Science degree prepares students for doctoral study in kinesiology, biology, psychology or engineering, or for graduate work in health-related professions such as physical therapy or medicine. Graduates may also choose careers as study coordinators for grant-funded research projects, or as research associates in academic, medical, and independent lab settings. There are also opportunities in industry, and in the health and fitness fields as kinesiologists, exercise specialists, personal trainers, strength and conditioning specialists, or wellness directors. Graduate student applicants must choose one of three Major areas of academic specialization: Motor Systems (Biomechanics, Exercise Neuroscience, Motor Control, Musculoskeletal Modeling), Physical Activity (Fitness, Health, Wellness, Physical Activity Measurement, Intervention), or Physiology (Metabolism, Cardiovascular Physiology, Muscle Physiology & Biophysics, Molecular & Exercise Physiology).